Many readers, no matter what age they might be, are familiar with Chris Van Allsburg’s unforgettable, award-winning classic, The Mysteries of Harris Burdick, presenting fourteen unique and incredible illustrations that spark the mind and begin moving the gears of the imagination. The illustrations have gone on to serve as great starting points for many schoolkids around the world looking to engage and develop their storytelling and writing abilities; a number of them still have those original stories they created when they were kids (my wife is one of them). Now, over twenty-five years after the publication of The Mysteries of Harris Burdick, fourteen renowned and well-known authors put their own minds to the task of creating original stories from these iconic works of art. The likes of Louis Sachar, Sherman Alexie, Kate DiCamillo, Cory Doctorow, Lois Lowry, and even Chris Van Allsburg himself, create their own moving and special stories, most of them published here for the first time. Stephen King also takes on the story of the house launching itself into the sky, originally published in his Nightmares & Dreamscapes short story collection, it is reprinted here. The Chronicles of Harris Burdick also features an introduction from Lemony Snicket, with some of his thoughts on where these illustrations might have come from. The book is a keeper, to be added next to one’s own copy of The Mysteries of Harris Burdick, and to be picked up and read, as well as read aloud to others, over and over again. To purchase a copy of The Chronicles of Harris Burdick from Amazon, and help support BookBanter, click HERE. Bestselling author and delighter of many children’s minds, William Sleator, returns with Ann Monticone – after collaborating on Test – in likely his last novel, The Phantom Limb. While Sleator sadly passed away earlier this year, The Phantom Limb is a fantastic send off, employing some of his great story telling with a truly terrifying and unforgettable plot. Isaac is the new boy in town, who dreads each day going to school and having to deal with a bullying pair of twins and all sorts of ridicule. Friendless, he enjoys what time he can at home, entertained with his growing collection of optical illusions. His mother is ill with a mysterious sickness, permanently in the hospital, while Isaac is lonely at home, tending after his grandfather who may be suffering from dementia. As he begins to get used to the new house, he finds a leftover item from the previous tenants, an optical illusion in fact: a mirror box that is designed for amputees as it creates the illusion of a second limb. As Isaac spends his time visiting his mother, she seems to be growing sicker and sicker, instead of getting better and yet the doctors and nurses don’t seem to know what’s wrong with her. Isaac starts to suspect that someone at the hospital may be intentionally making her sicker. As for the mirror box, he has noticed something special about it: there’s an additional limb in there – a phantom limb – that appears only before him. It seems to be trying to tell him something, but Isaac will have to work out who this phantom limb belongs to, who the previous tenants were, and how they are linked with the hospital and its suspicious staff. But Isaac will stop at nothing, because his mother’s life depends on it. Sleator does what he does best in The Phantom Limb, revealing an incredible story that grows and becomes more and more bizarre, with the fantastic and the unbelievable; and yet Sleator keeps the reader reading along, linking plot lines and tangents, bringing them all together in a logical conclusion that will leave the reader astounded. To purchase a copy of The Phantom Limb from Amazon, and help support BookBanter, click HERE. 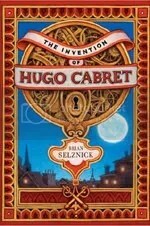 Brian Selznick last shocked and delighted the world with his incredible work of art, The Invention of Hugo Cabret: a tour-de-force in combining word, illustrations and photos to tell an unforgettable story. 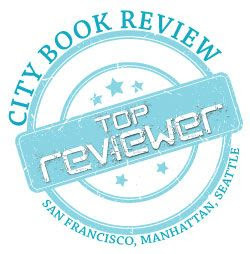 The book not only became a bestseller, but went on to win multiple awards, including the 2008 Caldecott Medal, a Quill Award, and was on numerous best book lists, including the New York Times, Kirkus, and Publishers Weekly. And the great news is Selznick is back with another incredible story employing his artistic and writing talents once again in Wonderstruck. In Wonderstruck, Selznick tells two stories simultaneously: one in strong and powerful words about a boy named Ben in 1977; the other in moving illustrations and pictures about a girl named Rose fifty years earlier in 1927. Ben discovers an important clue to the identity of his unknown father, and then the home he is in is struck by lightning, passing through the telephone he is holding, turning him deaf for the rest of his life. But he still needs to discover who his father is, no matter what it takes. He runs away from the hospital and travels to New York City, following the clues, which take him to the American Museum of Natural History. There he will find some answers, as well as some new friends, while exploring this incredible place. Rose’s journey also takes her to New York and the museum, in search of a loved one. 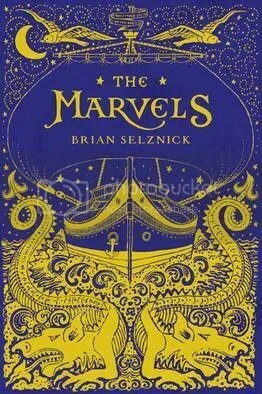 As to how Selznick links the two stories, bringing them together in a powerful plot . . . you’ll just have to read the book yourself. Selznick manages to convey so much detail and emotion in his artwork, even though they are black and white, as to tells as much of the story as the pages that feature his words. 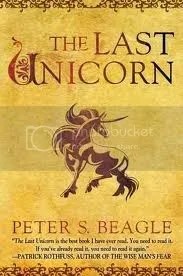 He uses the same method from The Invention of Hugo Cabret, with multiple pages of illustrations unfolding a captivating tale. Readers of Hugo Cabret will find just as much magic in Wonderstruck; and for those who are picking up Selznick for the first time, this book will sweep you away to a miraculous world that you’ll never want to leave. To purchase a copy of Wonderstruck from Amazon, and help support BookBanter, click HERE. Dark Life, the first in a series from debut author Kat Falls, is another example of the growing genre brought about by the success of Hunger Games, about a dystopian future where things are bleak, but everything is certainly not as it seems. In this particular doomed future the ocean levels have risen, leaving a small amount of high altitude land on each continent that is now filled with very high rise buildings and large populations living in very small spaces. Then there are those groups who are looked down upon for living beneath the waters in undersea homes. This is the story of those ocean dwellers. 15-year-old Ty was born underwater and has spent his whole life beneath the waves; it’s the only world he really knows. Everyone lives in simple homes that look like jellyfish filled with air, attached to the sea floor; the trapped air inside prevents the water from entering. The people live here normally, growing underwater vegetation for consumption, as well as running farms of different types of fish. They are dependent on the Commonwealth for certainly supplies, such as machinery and medical supplies; in return they give the Commonwealth various types of fish in large amounts. Only now a group known as the Seablite Gang is terrorizing them, attacking and taking their supplies so that the Commonwealth stops sending it, telling them they have to get rid of the Seablite Gang before they will send anything else, otherwise they’re on their own. As the people of the underwater town grapple with how they’re going to do this, Ty meets Gemma, a girl close to his age and a topsider who has escaped from her school in search of her brother who went subsea in search of hope and wealth. Then there’s the rumors of the “Dark Gifts,” supposed special abilities those who spend their lives underwater develop, but it’s a tightly kept secret, because if people found out that children were developing unique and powerful marine life abilities, it would change everything. Readers will get sucked into Dark Life quickly, as Kat Falls has a knack for telling a fun and interesting story, keeping things simple, but action packed. At the same time she has done her research, with the machinery and technology that is used, as well as the detail of sea life of both flora and fauna. In addition to enjoying a great story, you will find yourself learning a lot about the underwater world and its many strange but very real inhabitants.